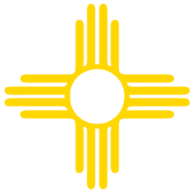 New employees: Employers must report all employees who reside or work in the State of New Mexico to whom they anticipate paying earnings. Employees must be reported even if they only work one day, and are terminated prior to the employer fulfilling the new hire reporting requirement. Temporary employees: Temporary agencies are responsible for reporting any employee who they hire to report for an assignment. Employees only need to be reported once, and do not need to be re-reported each time they are placed with a new client. However, they do need to be reported as a re-hire if the worker has a break in service, or gap in wages from your company. Is medical insurance an employee benefit? New Mexico Law (§50-13-1 to 50-13-4) requires that all employers submit their new hire reports within 20 days after an employee is hired, re-hired, or returns to work. Employers who submit reports magnetically or electronically are to submit the reports in two monthly transmissions not more than sixteen days apart. Uploading files through this web site. Utilizing our Web site's online reporting feature is a very popular option for employers. This feature provides printable confirmation of reports received, and is conveniently available 24 hours a day, 7 days a week. Through File Transfer Protocol (FTP) using FTP client software. The New Mexico New Hires Directory offers many options to help make new hire reporting simple and easy for employers. The options available are listed below. Online Reporting: Use this Web site to report your new hires. This is the easiest and most efficient way to report new hires! Register here and start now! Already registered? Log in to report your new hires over the Internet. You may download, print, fill out, then fax or mail us a New Hire Reporting Form. If your software is unable to export your new hire information in our electronic format, you might be able to have your software create a printed list containing your new hire data. The printed list should contain all of the required information on the New Hire Reporting Form, be created using at least a 10-point font size, and have the employer's name, Federal Employer Identification Number, and address clearly displayed at the top of the report. If you choose to submit a W-4 form as a new hire report, please ensure that each W-4 is easily readable and has the employer's name, Federal Employer Identification Number, and address written at the top of each form. If you use a payroll or accounting service, consider asking the service to report your new hires for you. Leading payroll services are already electronically reporting new hires for thousands of employers.